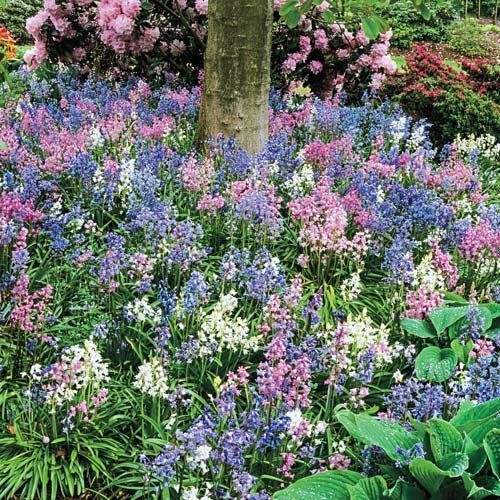 Pink, blue and white bell-shaped flower clusters sprout from glossy grass-like foliage each spring with no extra care. These woodland favorites thrive under trees and will persist unattended for many years. Ideal for naturalizing. PruningLet foliage mature and die back naturally. Leaves provide nourishment for bulbs to produce future growth and blooming. Winter CareIn colder areas a mulch is advisable. 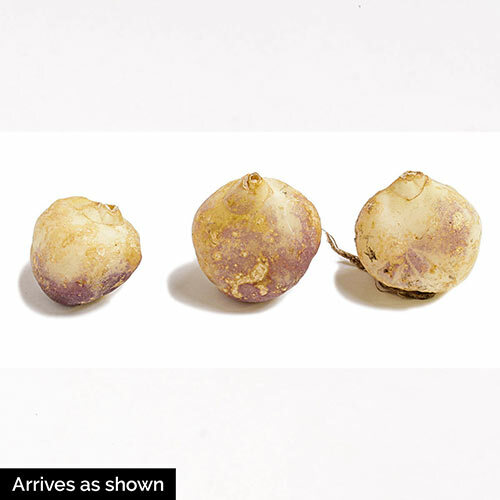 Additional InformationThe bulbs have no outer skin to protect them from drying out. Planting Instructions4" deep and 3-4" apart.